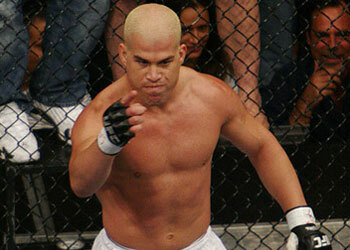 Tito: "[Babalu will] Get His Face Beaten in One Way or Another"
Tito: “[Babalu will] Get His Face Beaten in One Way or Another” – Although he hasn’t fought in over 13 months, Tito Ortiz is making sure that his voice is still being heard around the MMA world. The former UFC light heavyweight champ says his back is a lot better and he’s calling out Renato “Babalu” Sobral and Lyoto Machida. Babalu has been calling for “The Huntington Beach Bad Boy’s” head since he took down Mike Whitehead at “Affliction: Banned” last July. He put Tito on blast again after he captured Stikeforce’s 205-pound crown his past November, stating that fighting Ortiz would be the icing on the cake. “That would be great, that would be like a very good dessert,” Babalu said of his desire to battle Ortiz. Not really sure how or when this beef started, but it has snowballed in massive proportions. It has gotten so annoying that during an exclusive interview with 5thRound.com, Babalu didn’t want to waste another breath on Ortiz. Ortiz certainly isn’t done talking as he also set his sights on reigning UFC light heavyweight champ Lyoto Machida, the man who dominated him in his final Octagon appearance. Before he can step back into a cage, Ortiz needs to sign with an organization. However, before a company brings him on board, they need to know that he’s fully recovered from back surgery that has kept him out since October. Well, Ortiz would like to assure all the MMA organizations around the world, as well as his die-hard fan (Yes, that is intended to be singular), that he is almost good to go. Time for talkin’ is done. Let’s see it, Tito.